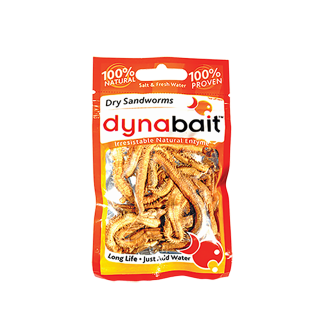 With Dynabait dried Worms you simply soak the Worms in Saltwater for approx. 25 minutes and then you are ready to fish. 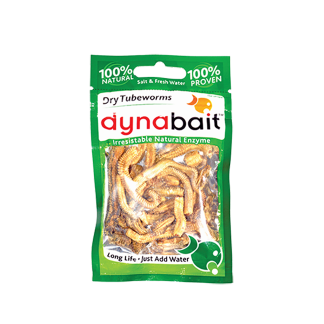 Dynabait Worms are reasonably tough. As soon as the bait hits the water the flavour explosion will attract any fish within a reasonable distance, resulting in a biting frenzy! 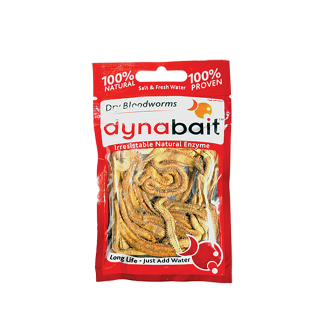 Freeze dried Worms are odourless until soaked and can be kept in the Car, Boat or Tackle Box until required.